Exchange Manipulator Archives - Productive Computing, Inc. 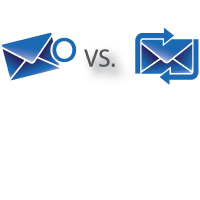 The Exchange Manipulator has all the same features of Outlook SendMail, Outlook Manipulator and Exchange Client Manipulator, this plug-in communicates with any Exchange mailbox for any user on the system. Automatic data import/export can be performed from a single client. This eliminates user involvement during the data exchange process and also eliminates the need to install the plug-in at every workstation.